Located at the corner of Broadway and 12th Streets near the East Village in New York City is an independent bookstore called The Strand. Its slogan boasts “18 miles of books.” The third floor of The Strand houses an opulent Rare Book Room. Here, dyads (or in one case, a trio) of writers were invited to sit and share their thoughts about life, work, and the things they love. 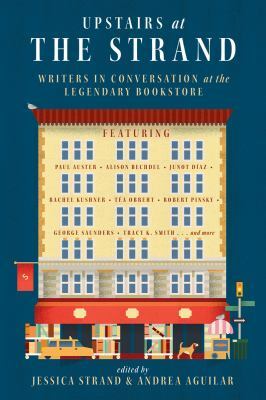 Upstairs at The Strand is a written collection of these intimate conversations. As you read each chapter, you may be compelled to imagine yourself an unseen guest in the upstairs room, listening. If you have ever been to the Strand or are familiar with any of the authors included, you may find it especially easy to imagine. Renata Adler. Edward Albee. Hilton Als. Paul Auster. Blake Bailey. Alison Bechdel. Tina Chang. Junot Diaz. Deborah Eisenberg. Rivka Galchen. A.M. Homes. Hari Kunzru. Rachel Kushner. Wendy Lesser. D.T. Max. Leigh Newman. Tea Obraht. Robert Pinsky. Katie Roiphe. George Saunders. David Shields. Charles Simic. Tracy K. Smith. Mark Strand. Charles Wright. If you are not familiar with any of these names, by all means check out this book and acquaint yourself with some talented authors whose work you may enjoy exploring. 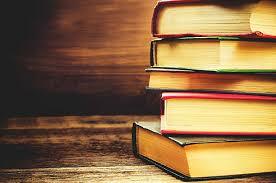 There is something to be found by each of these authors in the RiverShare library catalog.